A Teamsters union official, suspected of involvement in James R. Hoffa's 1975 disappearance, was murdered March 21, 1978, on Mulberry Street in Manhattan's Little Italy. Minutes later, two men, wearing jackets with hoods pulled over their heads, approached him from behind. There are different opinions about what happened next. Some witnesses reported that the two men spoke with Briguglio, perhaps trying to convince him to come along with them. As conversation became argument, one of the men struck Briguglio. Other witnesses saw no such thing. They stated that no words were exchanged at all; the two hooded men merely went up to Briguglio and knocked him down. At that point, witnesses agree that the two men with hooded jackets drew handguns and started firing. Four bullets entered Briguglio's head. One struck him in the chest. The gunmen ran a short distance north toward Broome Street, climbed into a light blue Mercury Monarch with New Jersey plates and drove off. Briguglio was rushed to Bellevue Hospital but was pronounced dead on arrival. Though the killing, which occurred just outside the front windows of the popular Benito II restaurant, 163 Mulberry Street, was seen by a number of people, all witnesses told police that they could not identify or even describe the gunmen. 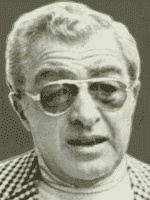 Briguglio was secretary-treasurer of Union City, New Jersey, Local 560 of the International Brotherhood of Teamsters. He was known to be a top aide to powerful New Jersey Teamsters official Anthony "Tony Pro" Provenzano, a Genovese Crime Family mobster. Provenzano and Hoffa once had been friendly but had a serious falling out when they served time together in prison. Federal investigators received information that Briguglio and his brother Gabriel participated in the abduction and murder of Hoffa. 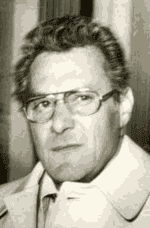 Salvatore Briguglio was brought twice before a Detroit federal grand jury investigationg the Hoffa disappearance. 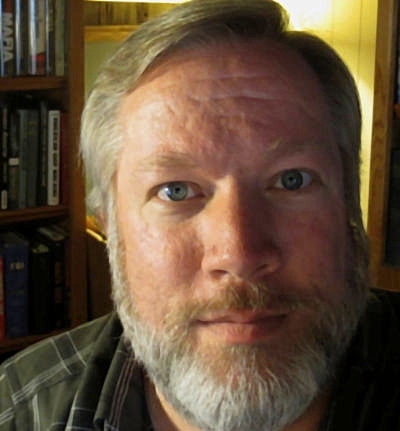 He reportedly refused to testify, citing his right against self-incrimination. At the time he was killed, Briguglio was awaiting trial with Provenzano, New Jersey racketeer Harold "Kayo" Konigsberg and others for the 1961 killing of a previous Local 560 secretary-treasurer, Anthony Castellito, who dared to oppose "Tony Pro." Rumors suggested that Provenzano feared Briguglio was providing information to prosecutors and had him silenced. Briguglio and Konigsberg may have been on thin ice for some time. FBI heard that there was a Mafia death sentence against both men just months after they worked together on the killing of Castellito. A different Provenzano associate, Salvatore Sinno, was cooperating with law enforcement and provided all the information needed for a successful prosecution. Provenzano and his codefendants were convicted of the Castellito murder just a few months after Briguglio was slain. "Tony Pro convicted of murder," Passaic NJ Herald-News, June 15, 1978, p. 9. Buder, Leonard, "Federal agents hope Teamster slaying in Little Italy will offer leads in the Hoffa-disappearance case," New York Times, March 23, 1978, p. B3. Casey, Dave, "Hallandale men indicted, sought in pension fraud," Fort Lauderdale FL News, Nov. 29, 1978, p. 1B. Doyle, Patrick, and Joan Shepard, "A Hoffa witness is slain by 2 in Little Italy street," New York Daily News, March 22, 1978, p. 3. Edmonds, Richard, "Says Tony Pro paid for a hit," New York Daily News, June 2, 1978, p. 18. Gage, Nicholas, "Provenzano indicted with Teamster aide in '61 union killing," New York Times, June 24, 1976, p. 69. Kramer, Marcia, and Paul Meskil, "Cops read 'contract' in killing of Hoffa suspect," New York Daily News, March 23, 1978, p. 5. Linker, Norbert R., "Criminal influence in International Brotherhood of Teamsters Local 560, Union City, New Jersey," FBI report, file no. CR 92-5215-22, NARA no. 124-10300-10030, Jan. 15, 1962. Social Security Death Index, 141-22-0294, March 1978.